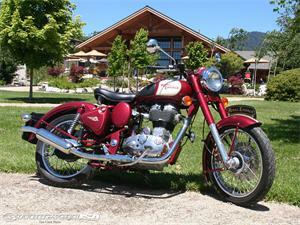 Royal Enfield testing remapped Fuel Injection system for the UCE500 engine! While an O2 sensor that could rid the fuel injection glitches on the Indian Royal Enfield Classic UCE500 is still out of the equation, Royal Enfield is testing a remapped version of the fuel injection system that apparently has ironed out all the glitches from the earlier versions of the fuel injection system. But we like what we’re hearing as this could finally mark the end of all the fuel injection niggles that Royal Enfield Classic 500UCE are having to face currently. 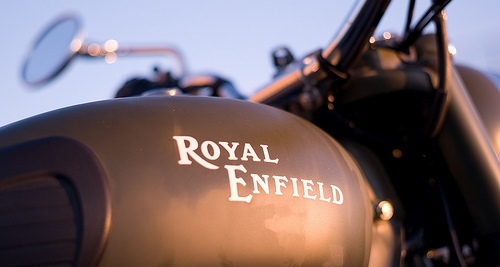 While not many details about how exactly Royal Enfield has managed to iron out the glitches from the ECU, the fact remains that Royal Enfield has finally gotten down to do something to sort this issue in itself is a great thing considering the slow response time that Royal Enfield has traditionally been known for. Also, this remap could mean that the fuel injected version of the Royal Enfield UCE500 engined models could continue to sell alongside with the carbureted version of the UCE500 engine that could be launched very soon. Our sources tell us that the remapped version of the ECU actually has been working very well on the models it is being tested currently with no jerking throughout the rev range, which was one issue that plagued the older crop of ECUs. With that, we hope the rich running also is sorted out with the remap as engines running too rich for too long could easily lead to hot spots in the engine head causing knocking and eventual engine damage. Also, the only straightforward solution to carbon accumulation in the head is decarbonization, which is a job that requires opening up of the engine head and thus changing of the head gasket too. With the remapped ECU, all this can be sorted out and we hope that Royal Enfield offers to remap the ECUs of current Classic 500UCEs proactively that would do a world of good when it comes to customer satisfaction. I was silent. I usually dont prefer to speak to morons. I am a simple commerce graduate. but i am sure i can lend some common sense to these RE techies. @anonymous all engineers at royal enfield except few are jokers and big time losers ! !